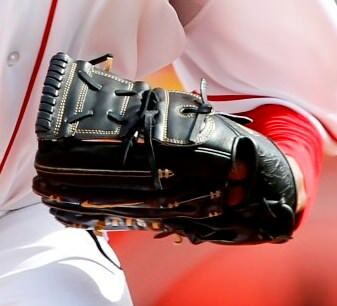 Cueto’s Nike Diamond Elite Pro II glove is a black/gold two-piece web that is custom-made for Johnny. He is no stranger to the Nike star treatment—his blue-grey piece made our “20 Prettiest Gloves” list. You can shop a few similar styles of the Diamond Elite Pro II’s at the link. 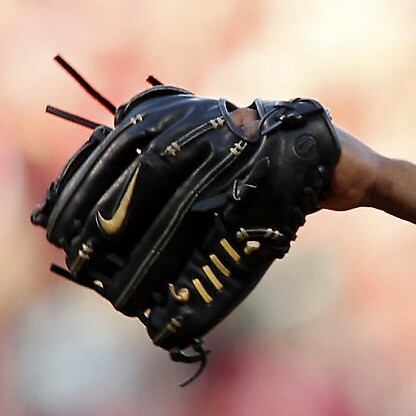 Categories: Gear, Kansas City Royals, Glove, Pitcher, Johnny Cueto.